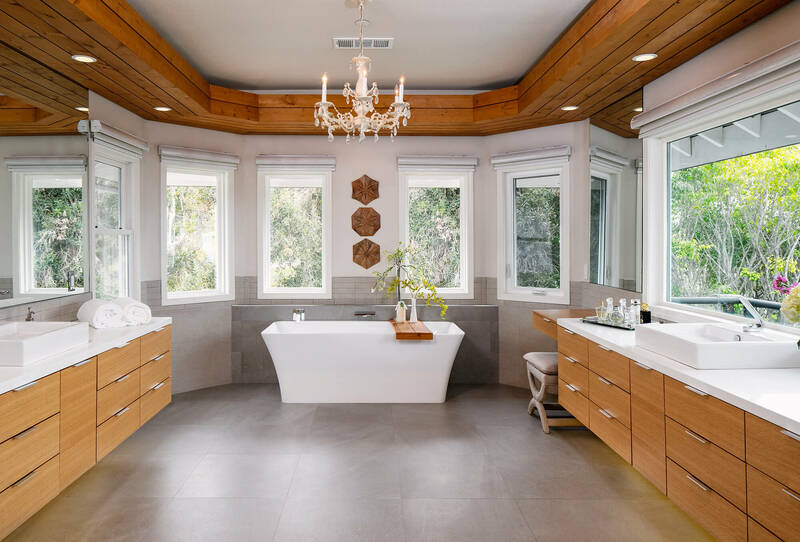 This master bathroom space plan was developed to include a large, his and hers vanity, gorgeous freestanding tub and luxury, spa-like shower. Determined to offer next level storage solutions, every drawer and cabinet was designed for a specific purpose. 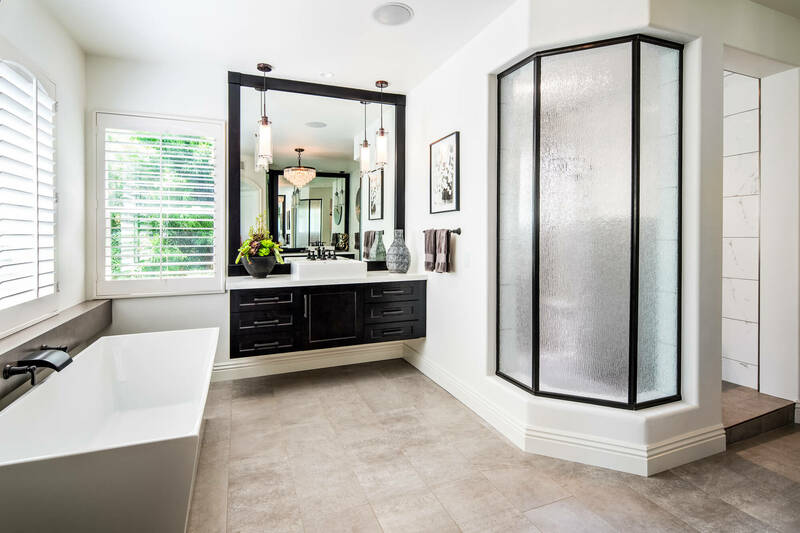 Outfitted with custom cosmetic organizers, electrical outlets and styling station inserts, everything has it’s place within this stunning master bathroom. With impeccable taste and a vision for the space, our client jumped into designing a dream home. The focus of this remodel was transforming the master suite sitting room and large bathroom. Through the use unique yet subtle design materials, an essence of luxury and style have been brought into the sitting room. The sleek flooring paired with dark toned cabinets, mantle and hearth is balanced by the traditional archway and crown moulding to create transitional design style. Continuing the hearth material into the bathroom creates a seamless transition from space to space. Design features such as floating vanities, large format mirrors and an edgy freestanding tub speak to our clients contemporary design style. 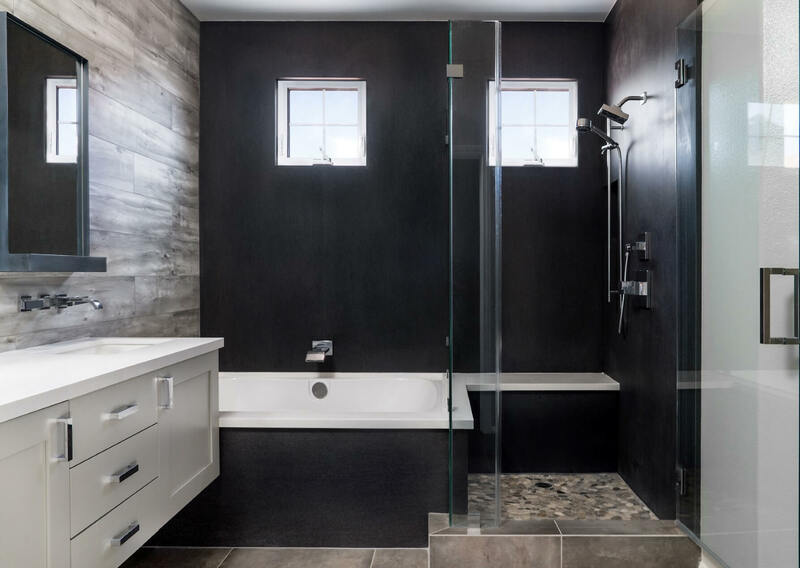 This large walk-in shower features a linear drain, a shower bench and dual controls. Moving into the power bathroom, incorporating a floating vanity and contemporary style fixtures creates visual interest. 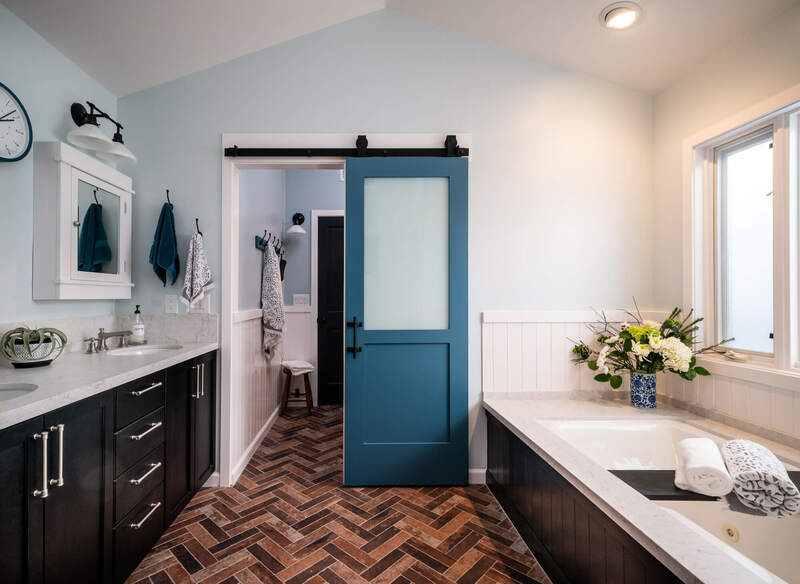 This charming Huntington Beach home was begging for some bathroom updates. With a vision and such a unique style, our clients worked with their Sea Pointe Construction designer to choose some truly stand-out materials. Each bathroom of the home was approached with a slightly different design framework while still keeping the overall style and tone universal. The end result is a fully remodeled, truly stunning, spa like master bathroom, guest bathroom and powder bathroom.